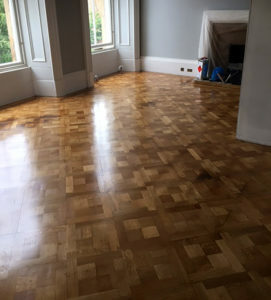 The beautiful restoration of this oak parquet floor in a Victorian Glasgow townhouse demonstrates the high level of craftsmanship for which Restore It is renowned. 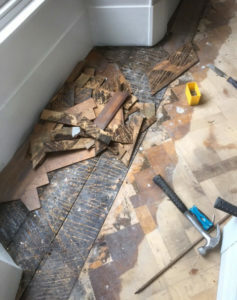 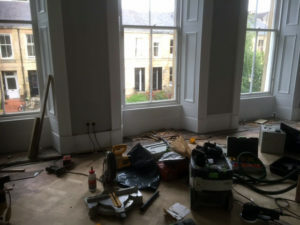 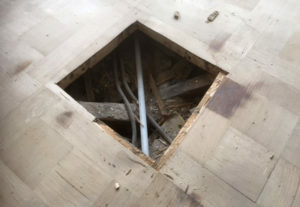 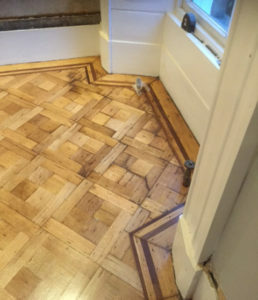 Dating back to the 1860’s, the original parquet floor of this townhouse had become badly damaged over time. 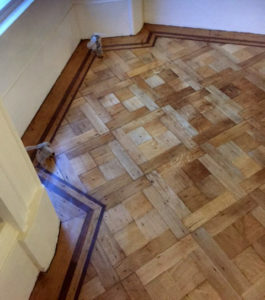 The damaged areas of flooring that were beyond restoration were replaced using shelves from a Victorian bookcase to match the original parquet floor. 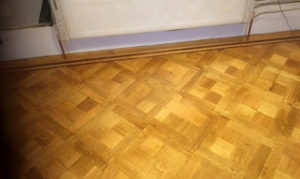 With Restore-It’s years of experience, the transformation was remarkable. 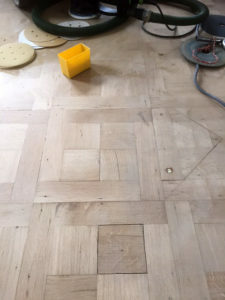 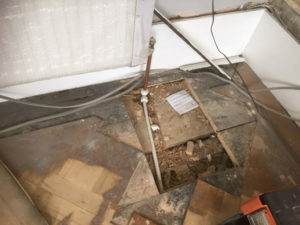 To provide access for a new central heating system, large areas of oak blocks were carefully removed and re-instated afterwards.